FRINFORMSUM 1/16/2014: DOJ Moves to Finalize FOIA Reg Changes, Obama’s Surveillance Options, Drones, and Much More. 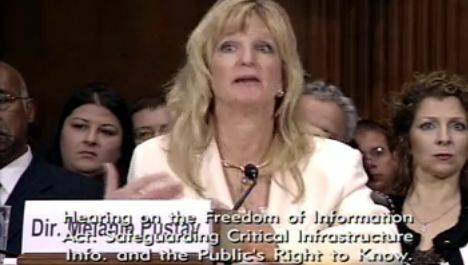 Melanie Pustay, director of the DOJ’s Office of Information Policy, and her office are attempting to sneak through FOIA regs that would allow agencies to willfully mislead requesters. Pustay is seen here testifying before the Senate Judiciary Committee in March 2012. The Department of Justice is moving to finalize changes to its FOIA regulations, but there’s no way of knowing what’s in them until they are published in the Federal Register. Gavin Baker of the Center for Effective Government tipped us off to this development, and it’s cause for concern given the DOJ’s Office of Information Policy (OIP) record with proposed FOIA regulation changes. Back in 2011 the DOJ proposed changing their regulations to allow some federal agencies to falsely state that no records exist when the requested documents fit within certain guidelines, thereby authorizing agencies to willfully deceive FOIA requesters on a case-by-case basis. The proposed changes spurred serious concerns from the open government community about the necessity and, more importantly, the legality of such a rule change. OIP Director Melanie Pustay responded to the criticisms during a March 2012 Senate Judiciary Committee hearing by saying, “some people misinterpreted what we were trying to do, misconstrued some of the provisions, and didn’t necessarily understand some of the fee guidelines.” Pustay’s misrepresentation of the proposed changes led Archive Director Tom Blanton to warn during his own Senate testimony that these were “vampire” regulations that weren’t gone for good, and we would be sure to see again. Despite the previous controversy, and without giving the public a chance to review and comment on these latest regulations, on January 9 the DOJ submitted their final rule changes to the Office of Management and Budget’s Office of Information and Regulatory Affairs (OIRA) for final approval. If OIRA approves the regulations, they could be published in the Federal Register and go into effect. 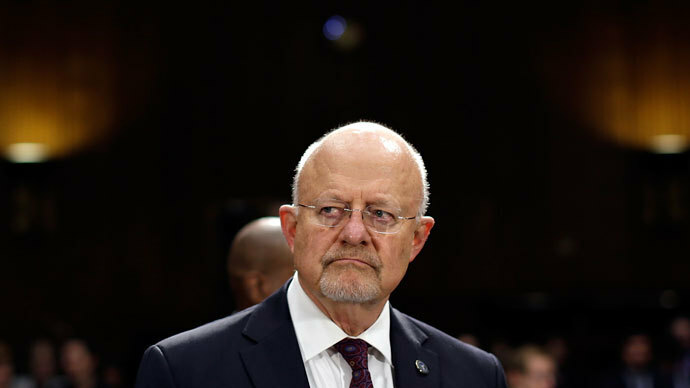 Current and former Foreign Intelligence Surveillance Court (FISC) judges recently penned a letter opposing the surveillance recommendations from President Obama’s surveillance review group. The letter, which was written by the court’s former chief judge, John D. Bates, and released on Tuesday, argues implementing the review group’s recommendations would increase the court’s workload and decrease its effectiveness. Specifically, “[t]he judges’ principal objections focused on recommendations to appoint an independent privacy advocate to represent the public’s interests before the court and on a proposal that administrative subpoenas, known as national security letters, be approved by the court before being issued.” Read here for more on the hyper-powerful National Security Letters. Morrell also reiterated that the NSA’s domestic phone data collection “has not played a significant role in preventing any terrorist attacks to this point.” His testimony was buoyed by the release of a New America Foundation study that found out of the 225 terrorism cases carried out in the U.S. since 9/11, the program “has had no discernible impact on preventing acts of terrorism,” and that in the “majority of cases, traditional law enforcement and investigative methods provided the tip or evidence to initiate the case.” In related news, Lawyers for an Oregon man, 22-year old Mohamed Osman Mohamud, are arguing he was entrapped prior to his conviction for attempted terrorism last year, paving the way for the first “constitutional challenge by a criminal defendant” to the NSA’s warrantless surveillance program. Documents recently released in response to an Electronic Frontier Foundation FOIA lawsuit reveal that Custom and Border Patrol (CBP) drones are being “borrowed” more than previously thought. The documents show that CBP ran more than 700 flights between 2010 and 2012 for other local and federal agencies for domestic surveillance operations. Privacy advocates argue drones could lead to visual surveillance of Americans on private property, while the government argues there is no meaningful legal distinction between the use of unmanned and piloted aircraft for surveillance.